Since our slightly less urbane and definitely not gluten-free ancestors performed magic by discovering fire, the desire to be cozy has become innate for far more than just survival. I had no idea the love of coziness had a name: all I knew was that it was one of my reasons for existence, and there was nothing better after a long day than to don my favorite sweatsuit, taking care to look as lumpen, misshapen, and questionably inhuman as possible. I would heat up a fluffy blanket in the drier, grab a hot beverage of choice, and delve into whatever I was currently reading along with my mother, who was an avid reader as well. Apparently a love of reading is hereditary. Oddly enough, I only discovered the sense of comfort and well-being I adore so much has a name, Hygge, while in prison, which I learned reading an article in Time magazine. Thanks, Time! After reading the article, I quickly asked a loved one to order me a copy of “The Little Book of Hygge” by Meik Wiking– the CEO of The Happiness Research Institute based in Copenhagen. I was charmed by the book’s enriching techniques and suggestions as to how to make your life more “hyggeligt”; areas included lighting, ‘togetherness’ and socialization, food and drink, clothing, and the furnishings of your home. What inspired me the most is how incarcerated women like myself practice Hygge on a daily basis, in spite of our oppressive, restrictive environment. Hygge practices are highly individualized and unique for everyone, and behind prison walls they are as well. Some of my favorite Hygge practices mirror what brought me comfort at home. When I’m not busy, I still love to change into my favorite sweatsuit and crawl into bed with a book, and I enjoy listening to music, effectively tuning out my environment. Every night to wash off the sweat of the day I take a long, sauna-like shower; as the steam envelops me and the hot water massages my muscles, I am able to relax and unwind, let go of whatever worries and emotions have been gnawing at me throughout the day. I’ve observed, fascinated, as my peers knit luxurious scarf and hat sets, blankets, mittens and gloves, and, my personal favorite, socks, that appear professionally made. Not only is wrapping yourself in these soft, woolen, colorful items comforting and the definition of Hygge, but the very act of knitting and crocheting is, as well. I’m sure I would find it very soothing if I had the patience. In addition to our artistic creativity not being stultified, we women prisoners have proven ingenious in regards to our cooking abilities. What could be more Hygge than prison-made macaroni and cheese, lasagna, spaghetti and meatballs, stromboli, chicken stir fry, or cheesecake? Maybe a lot of things, but still. Though activists like myself may be ardent in our belief that an environment such as prison is one that no human being deserves to be confined in, America continues to incarcerate more people than any other country, making us a Prison Nation. 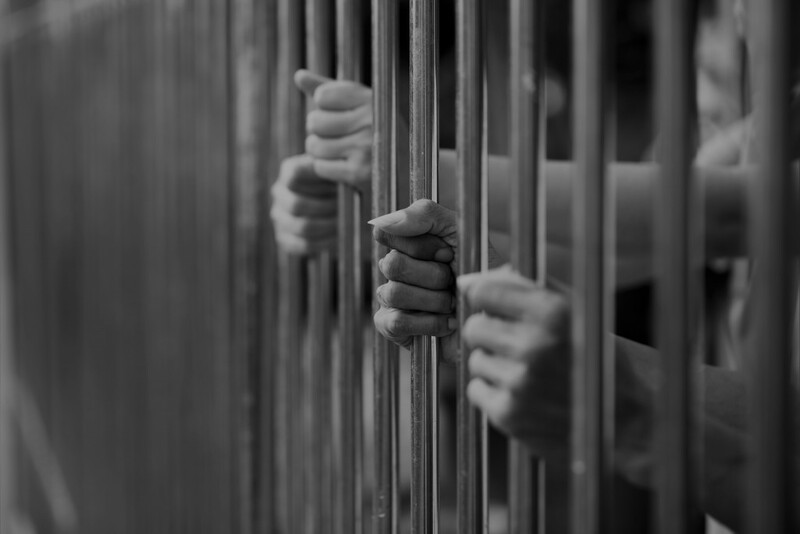 Human beings having the uncanny gift of resilience and adaptation, many of us incarcerated individuals adapt to the situations we are in, and try to make the best of them. However, no amount of positivity and humanity we prisoners bring to the penal system, no amount of “reform” that lawmakers vow but never quite seem to put into action, will ever mitigate the Draconian, cruel, backwards mentality that human beings are disposable and should be thrown away when we make bad choices instead of teaching us to make better ones. Comfort can be a great thing– but Noam Chomsky warned us about its illusions. I remain fully aware of the life I helped to take while strumming my guitar, watching a movie, playing chess, or participating in sports here in prison: most days the guilt threatens to swallow me whole. I’m sure many of my peers experience similar feelings of remorse. Prison isn’t filled with monsters. It’s filled with people like you and me, who have made terrible decisions. It isn’t an ugly place; you can find beauty and compassion if you know where to look. If you are ever in Muncy, Pennsylvania, I’ll gladly show you. Jamie Silvonek was convicted of first degree murder of the death of her mother at the age of 14. She is serving 35 to life without parole at SCI Muncy in Pennsylvania. Jamie has the unconditional love and support of her father and maternal grandmother. Jamie is housed with other young adult offenders in an adult prison.